Ash Crick has many strings to his bow. He’s been an IBM consultant, video producer, professional skydiver, and musician. These days, he’s the chief technology officer (CTO) at Malaysia’s iflix, which in a few months will start offering subscription-based TV and movie streaming services to consumers in South-East Asia. iflix is backed by Catcha Group, an investment firm founded in 1999 by Patrick Grove and Luke Elliott. 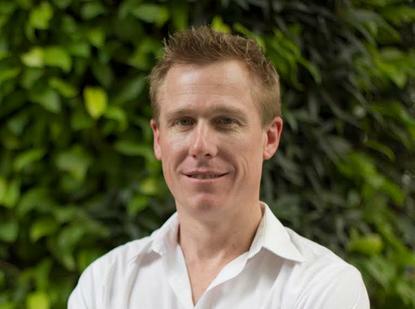 The company has founded 4 publicly listed Internet companies, including ASX-listed iProperty Group and invested in more than 50 private startups around the region. Crick is also joined in Kuala Lumpur by former Quickflix CTO and chief innovation officer, Tim Parsons, who has been a technical advisor to iflix since last year, as well as chief content officer, James Bridges. As CTO, Crick is driving technology strategy and building up the company’s ‘science and engineering’ team with local talent. “We are Aussies who are learning the South East Asian cultural quirks in a town none of us have lived in before, and enjoying it immensely working on a successful little project. I’m loving it, Kuala Lumpur – it’s a beautiful city and great hub in the middle of everywhere we are aiming to be,” he says. iflix is tackling markets in Asia on two fronts – launching into Malaysia and the Philippines, while building over-the-top (OTT) content to deliver services to populations in an Internet environment considerably less reliable than what is offered the western world. "Malaysia, the Philippines, pretty much anywhere in this region is going to be much lower quality of service than you would find in Australia or the US. It’s got its own unique challenges but that’s actually what makes it quite fun. "We will be tackling many more across South East Asia by year's end," he said. Crick says the iflix team is also keeping a close eye the OTT market in Australia and Netflix’s recent arrival through deals with major broadband providers, including Optus and iiNet. Crick has had an extremely diverse career starting with the formation of an IT consultancy in the early 1990s before touring as a keyboard player in guitarist Tommy Emmanuel’s band between 1997 and 1999. He served as a chief architect and technical project manager at large UK-based hardware reseller, Equanet between 1999 and 2002; technology director at Datography, head of engineering at Blue Freeway; as has held senior IT and CTO roles at several tech firms and start-ups up until 2012. Crick landed at IBM in late 2012, consulting to National Australia Bank (NAB) on its long running NextGen core banking program. “Being part of the NAB project when at IBM gave me a good insight into how the banking world operates. It was a super interesting project, something where I fell into a role almost as a co-ordinating point for Oracle, Infosys, Accenture, and IBM,” he says. Crick says during this time, he was communicating with people at the highest levels of Big Blue, including with IBM CEO, Ginni Rometty. “On the banking side, it gave me an insight … there was an opportunity to move across to one of the big banks but I’m more interested in the fast and agile [companies], and taking a more nimble approach to things,” he says. Before being ‘interrupted by Netflix’, as he puts it, Crick and another former IBM staffer, Mark Hulme, established Xeoscale, a company that helps businesses automate inefficient manual processes around IT operations, which slow down growth. “We saw an opportunity for the automation I was developing on behalf of IBM for NAB – to take this outside the bank,” he said. “I actually gave the opportunity to IBM in the initial instance. But the difficult we had was that this automation conflicted with the ‘bums on seats’ models of large consultancies because it essentially helps replace many people [in jobs]. “For instance, you could have 10 people doing a job that you might require 200 people to do before and we were demonstrating quite well how that actually takes place. Crick said he and Hulme had built a large IP base at Xeoscale between January and September last year but struggled selling to consultancies firms such as Accenture, Cap Gemini and PwC. The technology is strong but again, it had the potential to harm the consultancy model of more people resulting in more consultancy fees. “I think over the next couple of years, the technologies that we’ve parked and put somewhere are very much going to come into their own because the world will have evolved, and these types of [innovations] will be essential to getting less people doing more,” he said. When Crick is not hopping from one ‘start-up’ to another, he's launching himself out of small planes and falling to Earth faster than gravity. It’s an activity that many people find highly risky but it’s one that Crick was hooked on from the beginning. He began skydiving in 1996 after bumping into an old school friend – a skydiver – at a bar in Melbourne where he was touring as a musician. As it turns out, skydiving was a sport very suited to Crick. By 1999, he was the Men’s Freestyle Skydiving World Champion, a title that he also secured a year later. In 2000, he was even anointed the “fastest person on Earth”, reaching 491 km/h during freefall at a competition in Vichy, France. “I remember doing a training camp in Arizona in the US and I’d completed about 400 jumps in that time, and about 1500 when I won the world championships,” Crick says. “The guys that I was competing against had been 7,000 and 15,000 jumps. I had a life to fit in – most of those guys lived on drop zones,” he says. Believe it or not, Crick draws comparisons between preparing for a skydive and getting organised for a high level meeting with CEOs and board members. “The way you approach things when you are thinking about how you are going to perform your routine when you are jumping out of a plane – is not far different to how you would approach going into a large business meeting with a group of CEOs,” he says. It’s all about visualising how things will run, he says. A freestyle skydive has a ‘start, middle and an end’ with athletes preparation for each stage in the plane before jumping. “When you are in the plane preparing the way you are going to do the jump, the way you do that is similar to [how you prepare] for a presentation,” Crick says. “You do have to do things right but when you do a lot of jumps – there are a lot of inbuilt safety mechanisms, you can see the ground, you know roughly where you are at – you could probably be within 500 feet and predict accurately how high you are. “This is similar to keeping to time when it comes to a presentation, ensuring you are keeping the interest of the audience that is watching,” he says.